2017 Sasakawa USA Journalism Fellow Seth Berkman took a reporting trip to Japan in late 2017. 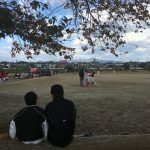 Here, he shares the back story to his fellowship and the reporting process behind his second article “Would you Play Ball in Fukushima?” published in the New York Times on December 29. 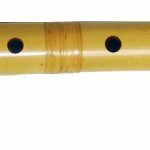 California native Bruce Huebner fell in love with the shakuhachi flute as a young man, and in the subsequent decades he has become an accomplished composer, performer, and teacher of the traditional Japanese woodwind instrument. A long-time resident of Japan, he spent many years in Fukushima, where he developed a deep affinity for the prefecture’s people and natural surroundings. Following the Great East Japan Earthquake in 2011, he has used his music to connect with people affected by the disaster. 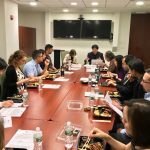 Sasakawa USA hosted Seth Berkman, contributing sports reporter at The New York Times, for a luncheon titled “Report from Sasakawa USA’s Journalism Fellowship: Fukushima and the 2020 Olympics.” Berkman was the 2017 recipient of the Sasakawa USA Journalism Fellowship, offered in partnership with the International Center for Journalists (ICFJ). 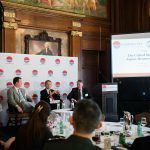 Nearing the two-year mark before the opening of the games, the luncheon kicked off Sasakawa USA’s discussion on the Tokyo 2020 Summer Olympics, and served as an opportunity to learn about Berkman’s experience reporting in Japan. Japan meets about 84 percent of its energy needs with imports, writes Umair Irfan, recipient of the 2016 Sasakawa USA Journalism Fellowship. 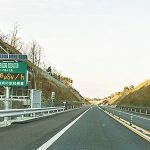 While nuclear power gave the country an energy source that played to its strengths in high-technology manufacturing and a robust domestic supply chain, after the triple disaster of 2011, much of the Japanese public remains uncomfortable with returning to nuclear. To commemorate the fifth anniversary of the “3-11” triple disaster now known as the Great East Japan Earthquake, Sasakawa USA in coordination with the U.S.-Japan Council hosted a discussion on the disaster and the joint response to it.